Is your layout ready for our 2014 Show Layout Contest?? Remember, this year our layout contest is based on a sketch. But before you go, check out Ange's take on the contest sketch for a little bit of fun creative inspiration!! I used the sketch and stretched it into a 2 page layout. I just took the strips from the sketch and brought them all the way across to my 2nd page. Then balanced it out by adding elements in the lower right. Make sure when you embellish that you don't clump similar items together too much. It also helped that I let my journaling go over to my 2nd page too. Hello crafters! Wendy of WendyBird Designs here and I am really getting excited for the Expo next month! I’ll be travelling from Phoenix to attend for the first time and I’m teaching a Hybrid Crafts Class! Sowhat is Hybrid? 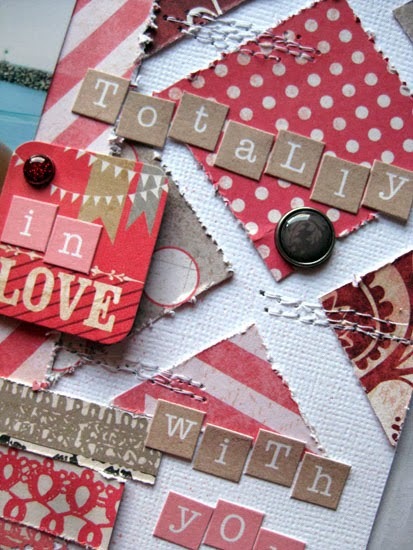 Hybrid Crafting combines digital scrapbooking with paper crafts. 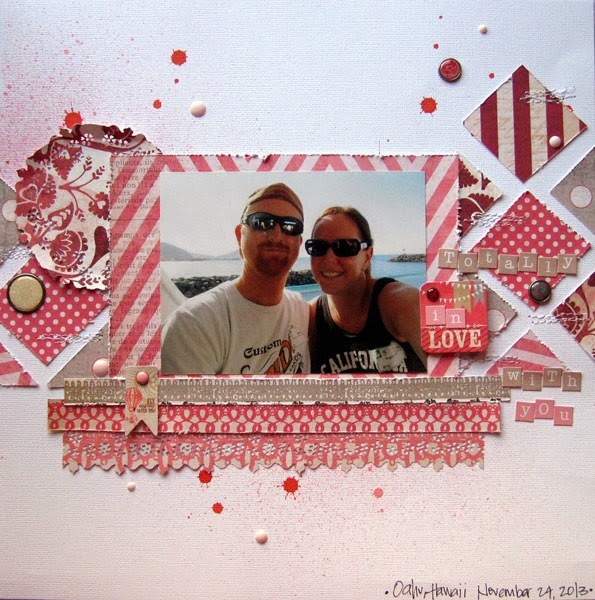 First things first, what exactly is digital scrapbooking? 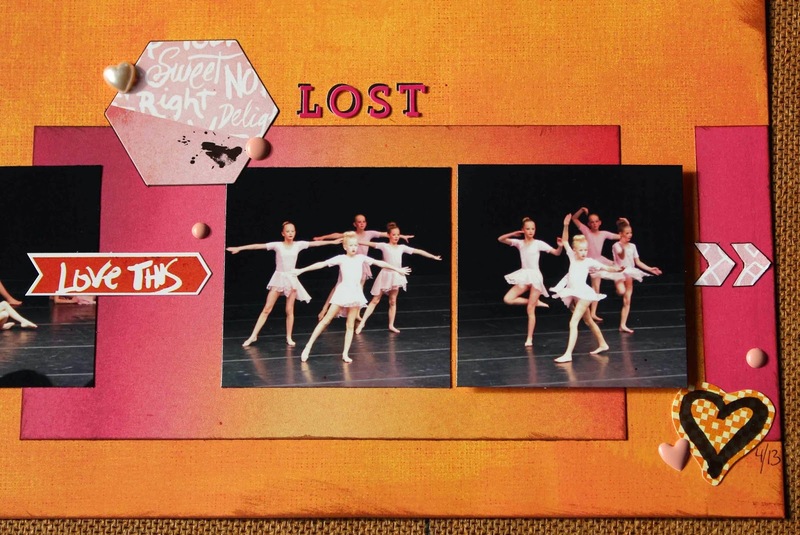 I love this post by Scrapping with Liz, but the simple version is that the scrapbook kits are all digital downloads and the pages are made using Photoshop or other photo editing software. 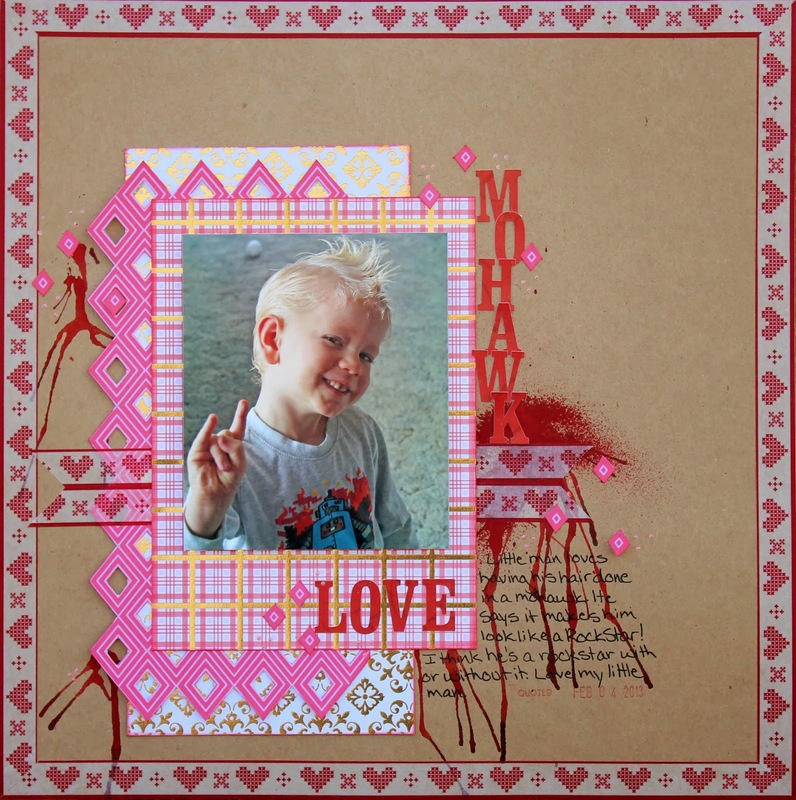 The scrapbook pages can be shared online and also printed individually or into photo books. My hybrid templates let you bring your digital supplies out of your computer – you use those digital scrapbooking kits to create printable projects – all designed to be able to print at home or professionally, then they get cut out and assembled into 3D projects. 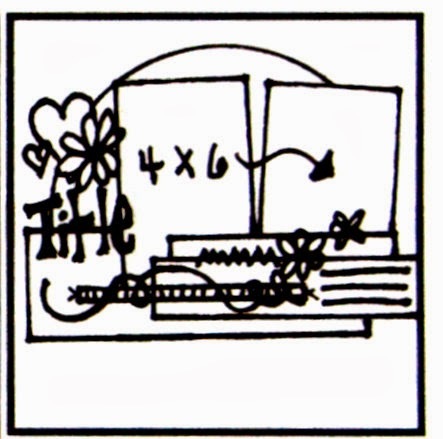 If you are or have ever been a “traditional” paper scrapbooker, you’ve probably seen the plastic templates that let you trace shapes on to paper then fold them up to make boxes or tags. Hybrid templates are just like those but better! Because they’re digital, they can be resized easily, you can attach digital papers to create a printable project that is perfect every time and are completely reusable and versatile! If you have a Silhouette or other digital die cutting machine then you are going to be in heaven, because my 3D hybrid templates all come with cutting files so that you can easily create print and cut projects! 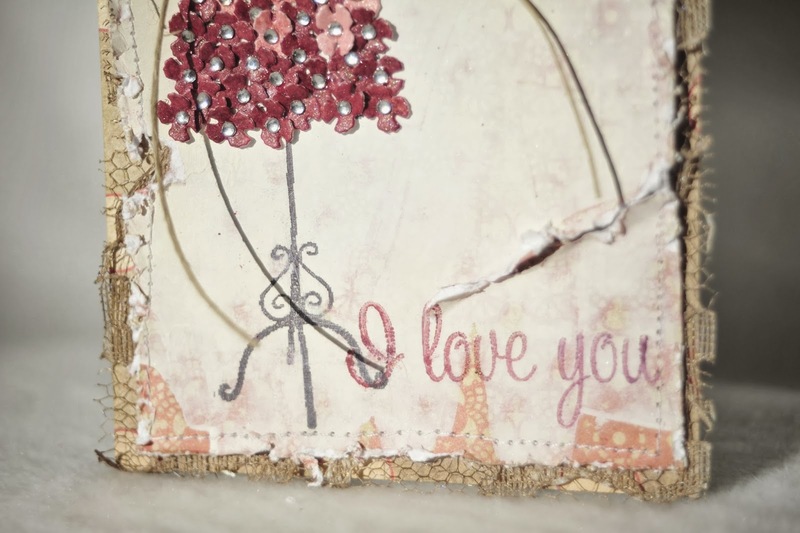 Really, hybrid is the best of both worlds – you have the ease of digital scrapbooking (no messes to clean up before you can use the table to eat dinner), plus being able to reuse digital supplies – you can duplicate, resize and recolor to your heart’s content to get the most out of your digi stash! And you still end up with a hands-on physical project to show off or give as a gift! There really is something special about seeing your digital creation in “real life”! In my Hybrid class at the Expo, we’ll be creating 5 really fun Easter projects and you’ll get to see the process from start to finish – I’ll start with the blank template, decorate it with a digital kit, see how it’s printed and cut and then we’ll all assemble them together! We are going to have a lot of fun and I hope that you’ll join me there! See you in March! 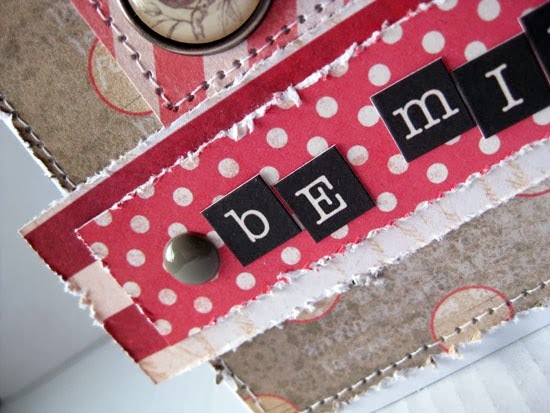 Are you all getting excited for the Scrapbook USA Expo??? One of the vendors I always look forward to is Basic Grey. I love their stuff & their deals! This was made using Basic Grey's "Mon Ami" line. Fabulous colors & patterns in this line! The numbers on the side were stamped with a clear embossing ink, then covered with Magical Powder from Lindy's Stamp Gang... The mica shimmers so beautifully and gives it that touch of metallic shine without being overly distracting. Stamps: Unity "Number etc. 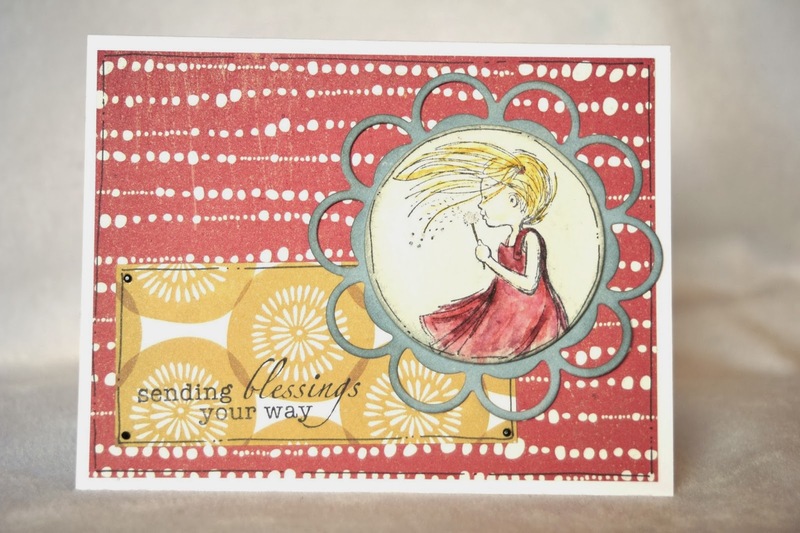 ", "Sing Your Song", "Create Today", & "Heartfelt Sentiments"
Other: Lindy Stamp Gang Magicals "Cattail Copper Brown"
Dies: Spellbinders "Blossom Tags & Accents", Quickutz "Nesting Circles"
Now thru March 7th you have the opportunity to win tickets to Scrapbook USA - March 28-29, 2014. It is SO easy! 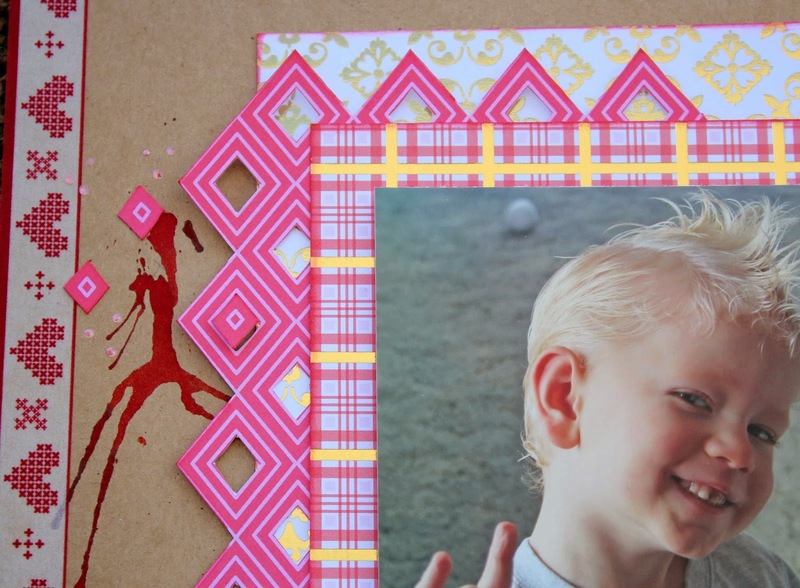 Pin the image below, tag #scrapbookusaexpo, and you will automatically entered to win! We are giving 7 tickets away each Friday. That is 1 per day. So, each and every day between now and March 7th, help us spread the word and you may be one of our 21 lucky winners!! A few weeks ago I went to CHA (Craft & Hobby Association) and was able to see what is new, hot and trending in the world of crafting! 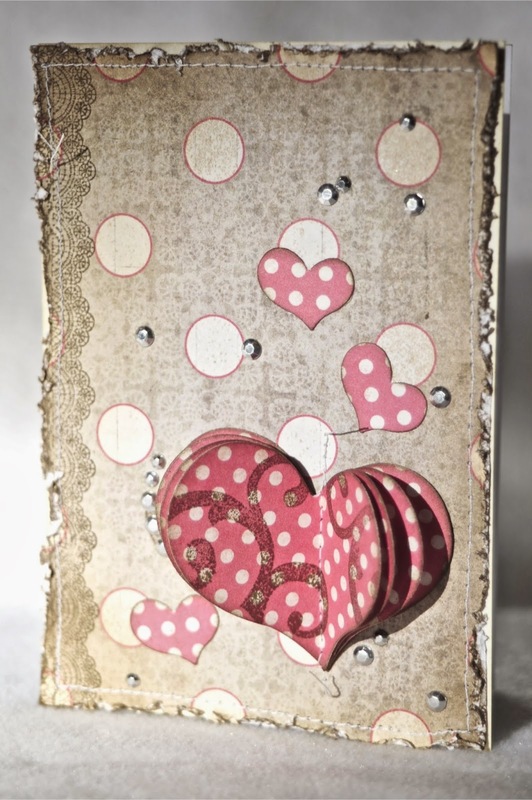 One of the booths that really caught my eye was Spellbinders who is also a NEW vendor at Scrapbook USA Expo this March. Their booth was gorgeous! The first thing that caught my eye was a little purple handheld device that they were demonstrating. It is their newest product called Tool n' One. It is awesome!! Even if you don't ever plan on owning a die-cut from Spellbinder's, you will want this tool. This handy tool performs a number of duties including paper piercing and paper removal. It has a variety of different "tips" that you attach to the end so you always have the right tool for the job. Another great feature is that the additional tips store inside the body of the tool for a convenient storage spot. The big question is "Will this tool be at Scrapbook USA?" The answer is, "I hope so!" Hopefully the first shipment will arrive just before our show which will make us one of the first markets to have the opportunity to get this tool in our hands. Either way, stop by Spellbinder's booth and learn more about the Tool n' One as well as all the other products they will have available including their beautiful dies and machines! Look What's NEW at Basic Grey! Hello! Ange here today. Are you getting excited for the expo? I sure am! I can't wait to go play, hang with some good friends and shop some great deals!! As I was thumbing through my pictures, I saw these pics of my daughter at a dance competition and thought dark backgrounds with light pink outfits, perfect! I know these photos aren't the best. The lighting on the stage was really bad, harsh in some spots and way too dark in others, but I managed to get some photos that were not blurry and I love how you can see my daughter's pretty form. (She's front and center) Of course I had to use the photos and I found a sketch that had super tiny photos on it over at My Scraps & More, so I went for it. The main draw for me was the design across the bottom. 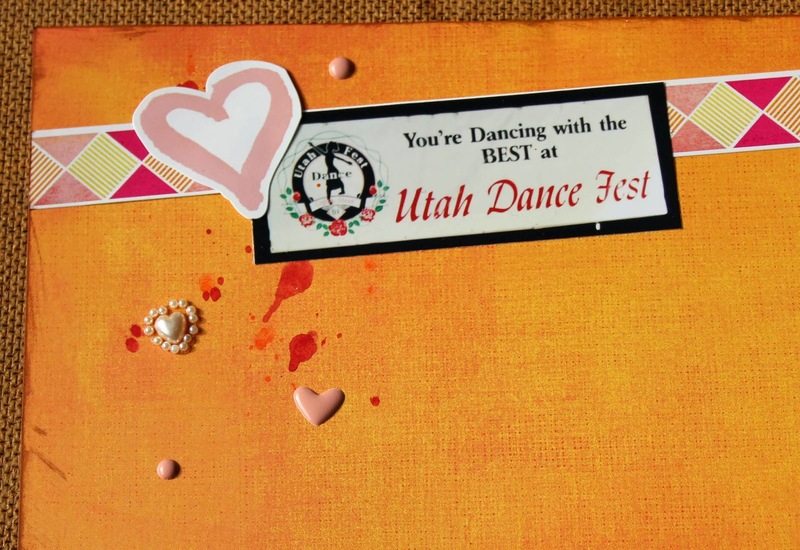 I loved the arrows leading the eye across the page and photos, so I used the fun Love This arrow sticker and then cut some chevrons out of some cute pink pattern paper to draw the eye. That hexagon sticker was just too perfect and it is a great way to focus the eye on my title. For the title I layered the black and pink alphas. Did you see all the alphas you get with this line?! Awesome!! The banner here was hanging at the festival and I took a picture of it to use on my page. I used one of the border stickers across the top, but since it is a true 12x12 I had to cut it to make it longer and fit end to end at this angle. I just hid the cut behind this fun pink heart. I tried to stick with the light pink embellishments because it looks so awesome against the darker background of the page. I really love this line from Basic Grey and can't wait to dive in again!! 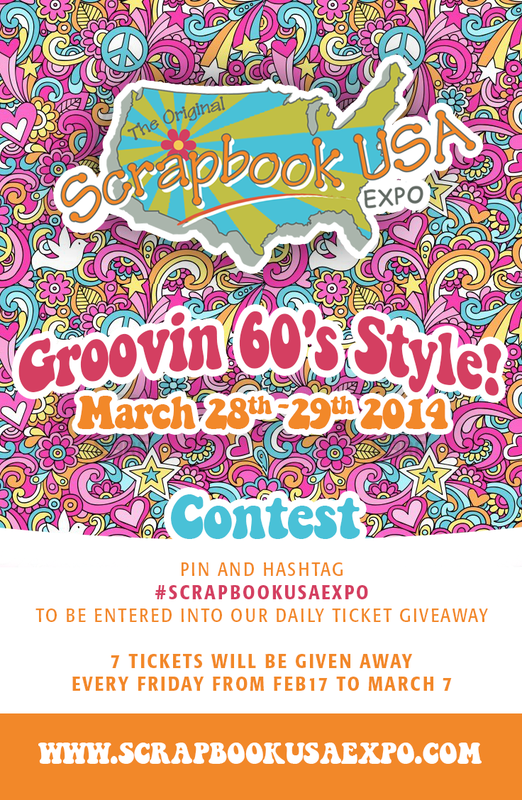 I am SO excited for Scrapbook USA Expo 2014 and I sure hope you are too! 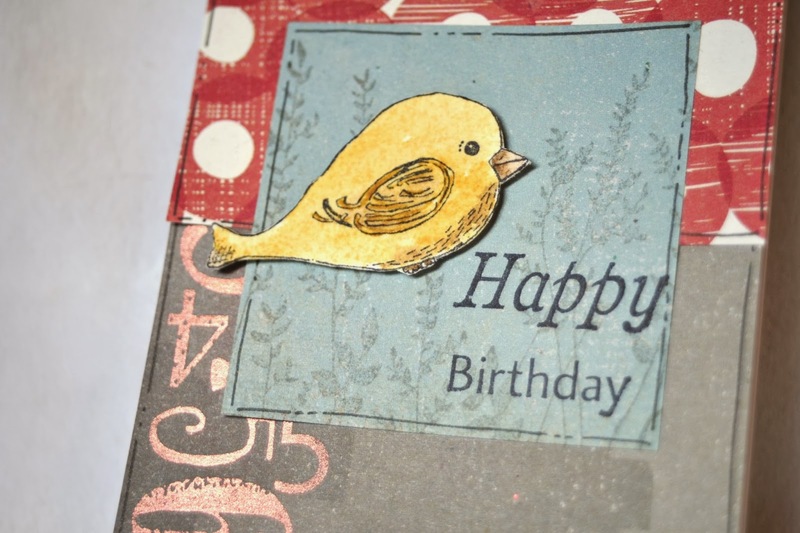 If your are new to Scrapbook USA (or a seasoned veteran), let me tell you a bit about what you can expect from the Early Bird Hour at Scrapbook USA 2014! Early Bird Hour begins at 9:00 am (1 hour earlier than our regular admission) and is a very fun way to start any great day of shopping. When you check-in you will receive a nice swag bag full of coupons and flyers that will be your guide for your first hour of shopping. *An Awesome special at our Receipt Redemption Table for that first hour only! Let's just say, if you are wondering how to increase your chances at winning a prize....you will want to shop in that first hour. Lot's of contest entry tickets will be up for grabs!! Early Bird tickets are just $20 and include a swag bag and show entrance at 9:00 A.M. Tickets can be purchased on our website or at the door! Finally....the most important thing to remember about Scrapbook USA- Come ready to shop until you drop!! See you March 28-29, 2014!! We are only about 6 weeks away from show time! We are super excited and hope that your are too! One of the fun traditions we have at Scrapbook USA Expo is our Show Layout Contest. It is amazing to see all the talent that comes to our show each time. *What is the "Theme" you ask? Don't be crazy! We are celebrating the fab 60's! There is no theme, you go wherever the wind takes you (as long as you keep the above rules in mind)! Just be YOU! This year's layout contest is sponsored by Creative Memories. Make sure you check out their booth. They have a brand new collection called Ahni & Zoe by Creative Memories. If you want to pick up any past product this will be your last chance as everything is NEW at Creative Memories! Prizes will be awarded to 1st, 2nd, and 3rd place PLUS All participants will receive a little goodie just for being willing to share your talents with all of us! 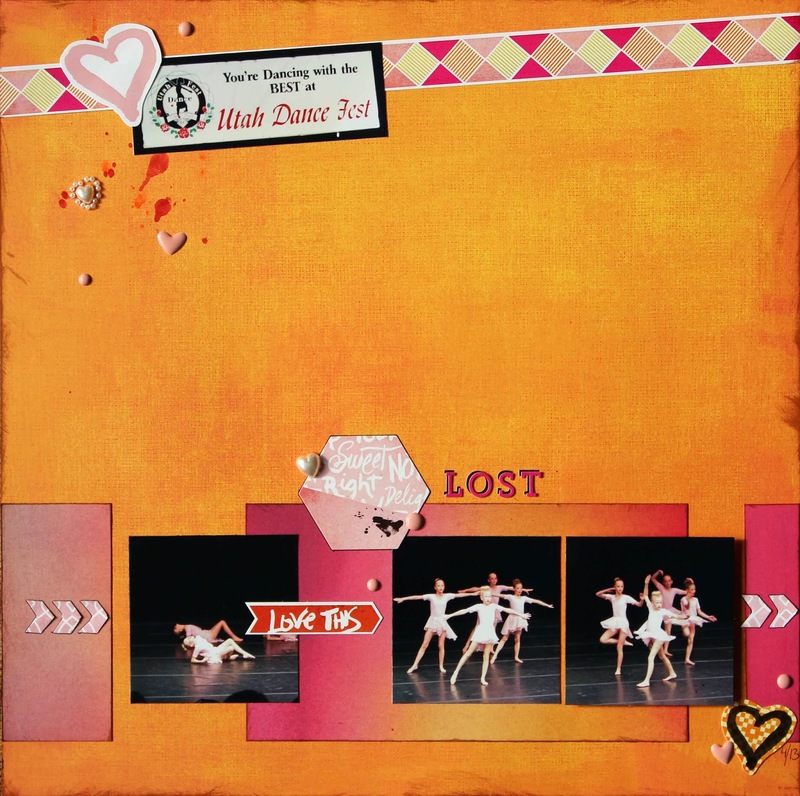 Dress It Up - MME "Lost & found"
Well, My Mind's Eye has a beautiful line entitled "Lost & Found" that is perfect for your Valentines projects.... Although, in all honesty, who needs to wait for any specific day to tell someone you care? I love the dress form trend. Something about them is so inspiring... They are like a canvas waiting to be decorated. Last year, at the Scrapbook USA Expo, I picked up a fun flower die by Joy! Crafts called "Fantasy Flowers #2". 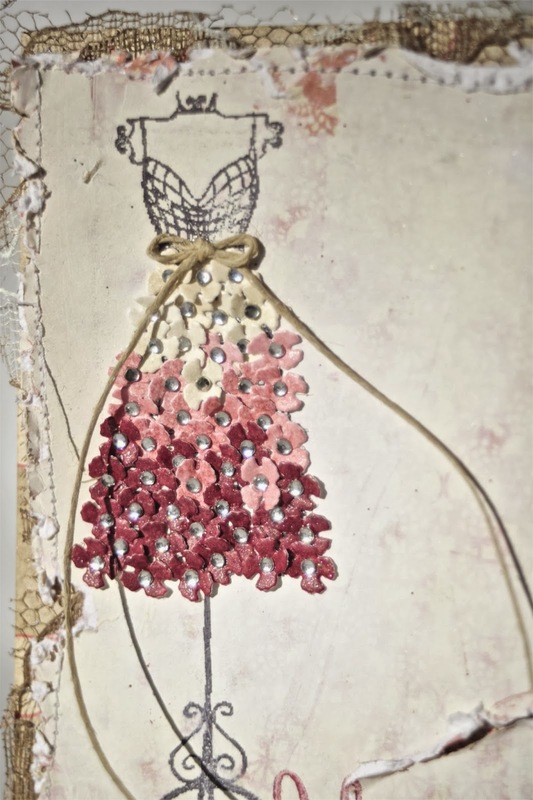 All those tiny little blooms making up the skirt were cut using that die... I love the added dimension it gives! A fun way to get more out of patterned papers is to brush on a layer of Gesso to cover parts of the pattern. 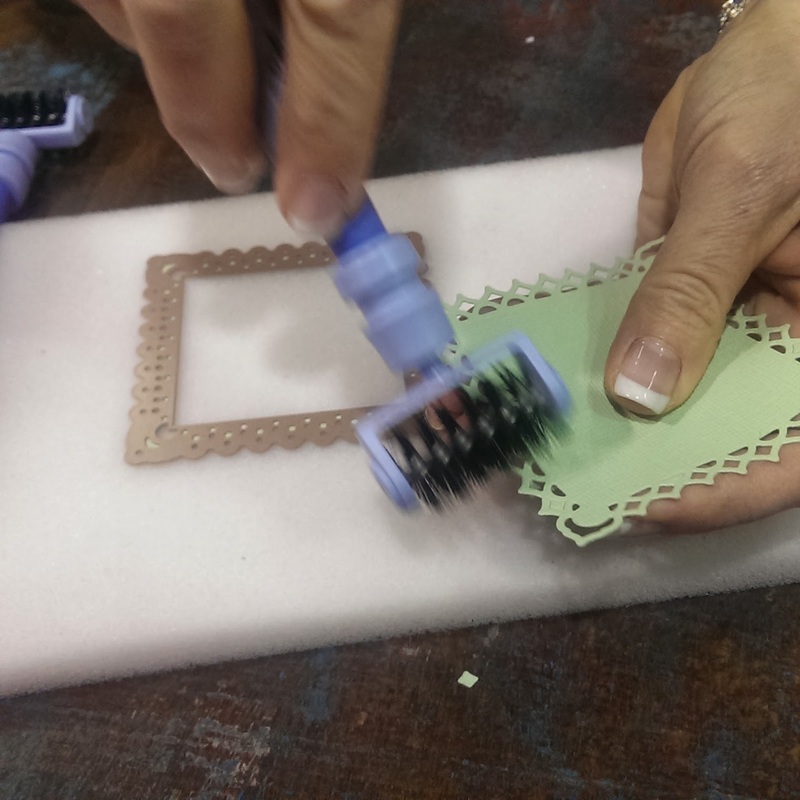 This allows you to stamp an image onto a busy patterned paper without losing the image. To keep with the vintage feel of the papers, I lightly tinted the Gesso with some powdered pigments. Stamps: TPC Studio "Vintage Threads", KI Memories "Celebrate Life"
Dies: Joy! Crafts "Fantasy Flower #2"
It's Wendi here and I'm sharing a layout I made using some of My Mind's Eye Lost and Found Heirloom collection. The line is full of rich, deep warm tones and perfect for those love pages and projects. I scrapped the photo of my hubby and I on our recent anniversary trip to Hawaii. We figured 15 years of marriage deserved a big reward. As always, check out My Mind'e Eye to see what amazing products they have out... they always have the BEST collections.. I'm really excited for their new CHA lines to be released. Other supplies: Mister Huey's mists, Kreaxions border punch, Sharpie pen, machine sewing. 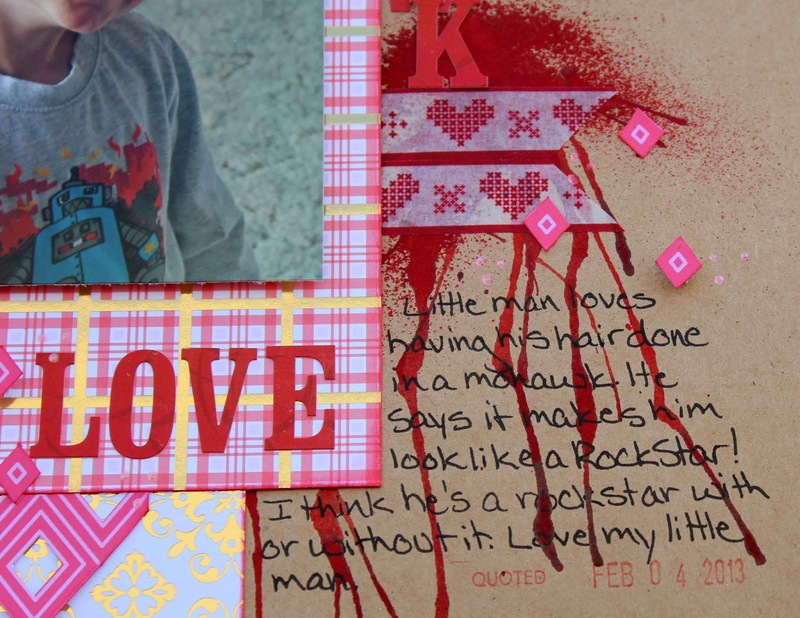 I am excited to share the details about our Saturday Kid's Craft Corner coming to The Original Scrapbook USA Expo March 29, 2014! Now until Monday Feb 17th these tickets are available for an AMAZING Price! 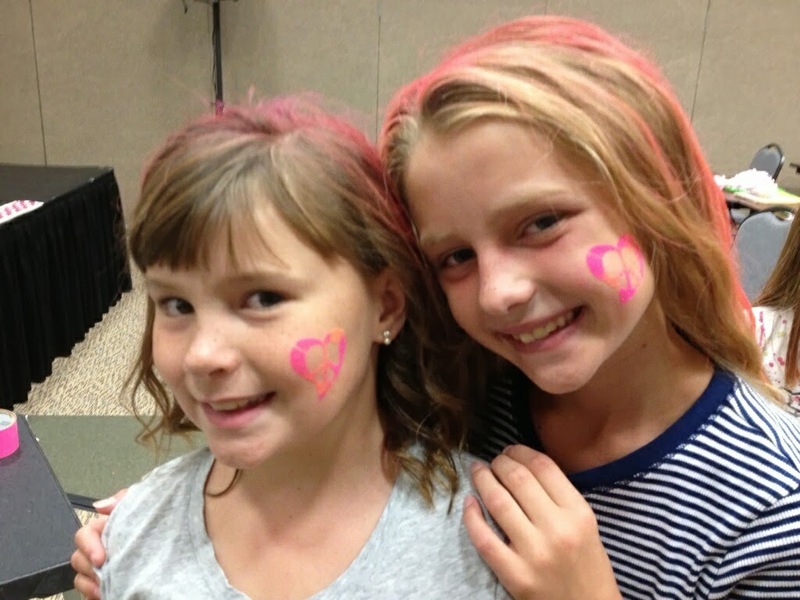 Kids (also known as young crafter's) save $6 using code SAVE6, making kids tickets only $4! 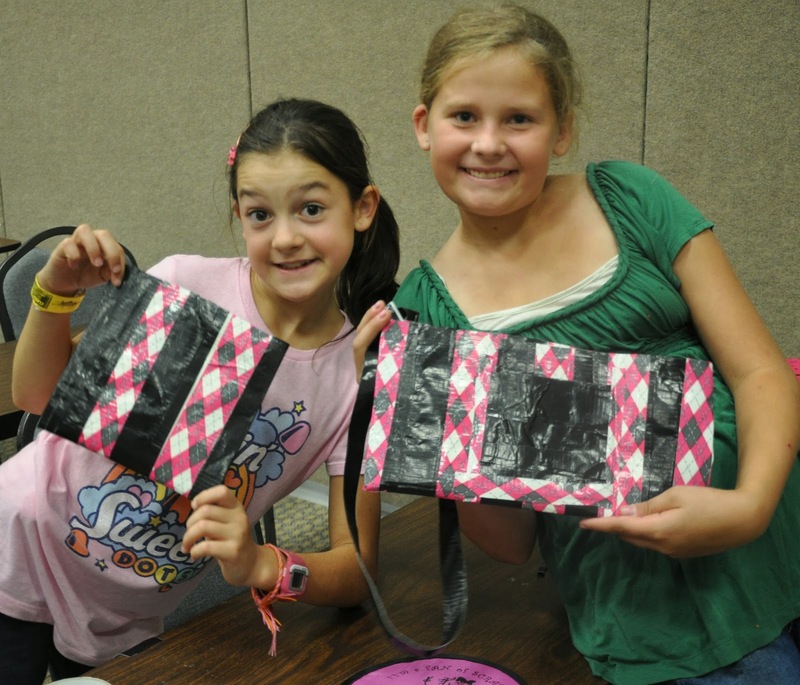 Kids Saturday Admission to the show + Kids Craft Corner, use code HIP and save $8! making these tickets only $6! I know that for many Scrapbook USA is a "girlfriend" or "sister" thing and that is GREAT! But if you would like it to also be a Mother/Young Daughter tradition as well, please take a look at the Saturday Kid's Craft Corner! I have 4 daughters who LOVE to craft and this corner of the show is being designed and planned specifically for kids like mine who love to be creative! 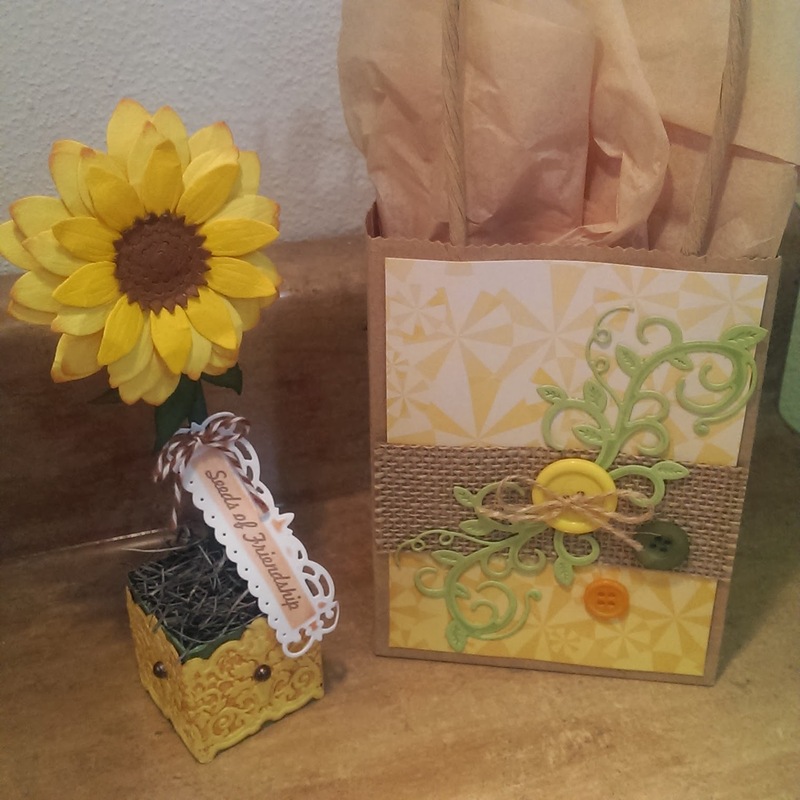 The Kid's Craft Corner will be available at Saturday's show from 10:00am-2:00pm. It will take place on the show floor and will have activities designed for kids age 5-14 but are available to kids under 5 and up to age 16. If you are interested in bringing your kids to the show but would like to give them a bit of time to craft on their own, this may be the perfect solution for you! This is a super sweet deal! Lot's of great crafts that will help our kids explore their personal creativity and give them the tools and "know how" for doing some serious crafting on their own. This fabulous deal is good only until Monday February 17th! FREE KIDS- I get alot of questions about who is free and what does that mean. Kids age 7 and under are FREE. This means they can enter the show for free but DO NOT receive a wristband and are NOT eligible to participate in drawings, contests, free make-n-takes, etc. If they are age 7 and under and want to participate in the show activities that are included in show admission they will need to purchase a ticket. I am SO excited for our NEW Kids Craft Corner! Please post any questions you have and Happy Crafting!! Hearts! 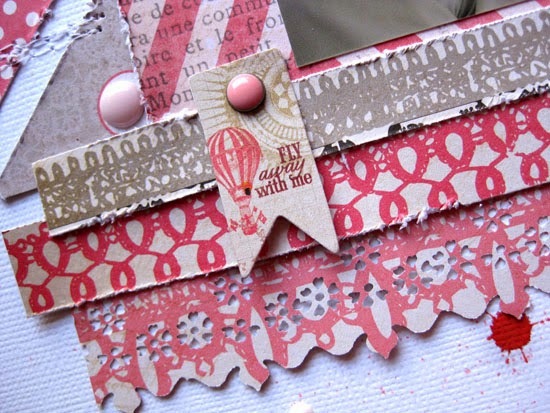 MME "Lost & Found"
YAY for super cute paper from My Mind's Eye that made whipping up a quick CAS card easy! These are from the "Lost & Found" collection... which I ADORE! Absolutely beautiful color and style! 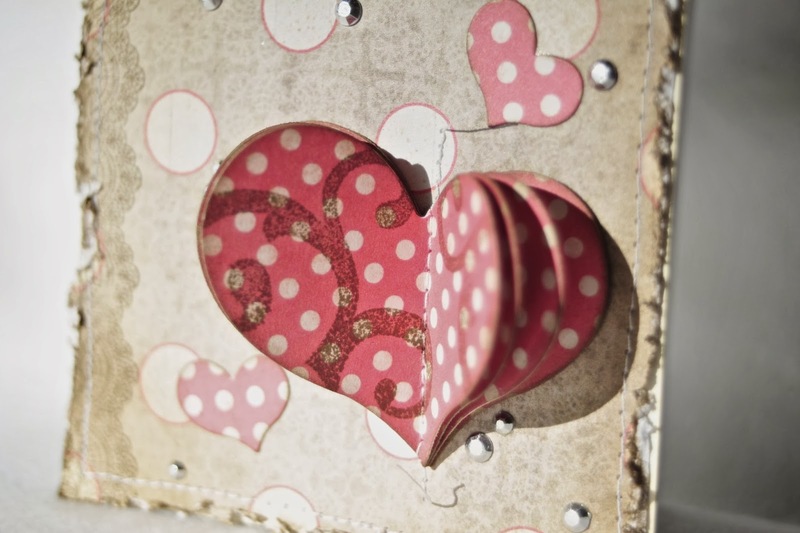 To make a fun dimensional heart, simply cut multiple hearts out of paper, then attach them to your project by sewing a single line down the center. You can then fan out the layers. I love the simplicity of this technique! It's a super fast and easy way to add a little extra pop. Paper: My Mind's Eye "Lost and Found"
Stamps: My Mind's Eye "Story"
Hello! 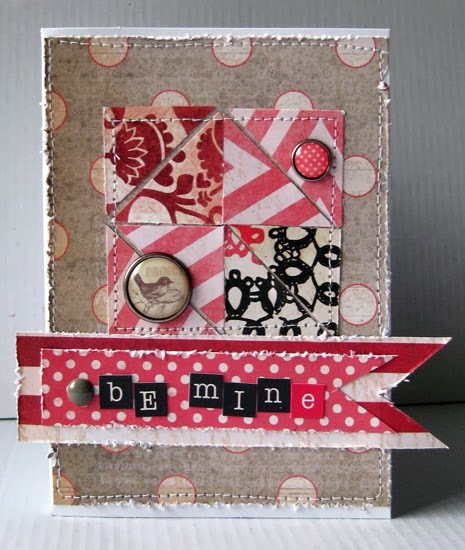 Ange here today and I have a super cute layout using Basic Grey's Capture line! This line is so fun. Totally built for those everyday moments that don't always fit under a particular theme. I used some photos of my husband doing pushups with one of our boys on his back and the other helping him balance. It's about the little things, right? Here you can see that fun sticker at work, along with some others that I thought went well with the photos. For my title I used the "You're so Amazing" tag sticker and backed it on another pp before adhering it with foam adhesive to give it some pop. I love the circle stickers and rings, they go well with the main design. I used sketch #302 from Nuts About Sketches for this layout. 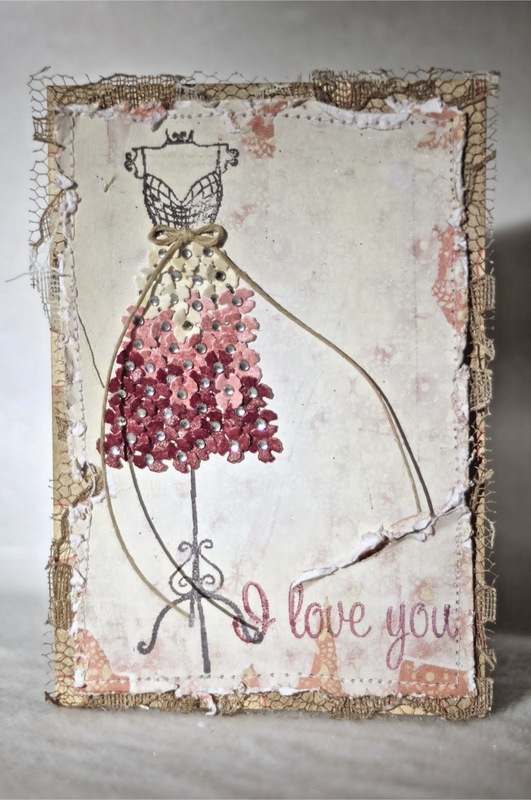 It's Wendi here and sharing a recent card I made using My Mind's Eye Lost and Found It Heirloom collection. With Valentines right around the corner, it's the perfect line to make a card for that someone special. I cut and layered a pennant across the bottom, and then added my sentiment with some MME mini alphas. I sewed around the outer ridge to give it more of a central focus point. Thanks so much for stopping by and make sure to see what My Mind's Eye is up to. 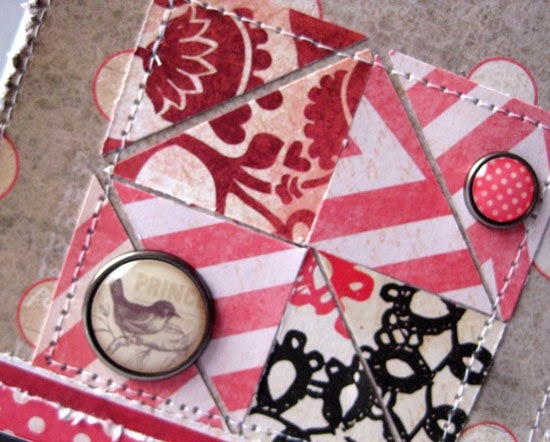 Other supplies: machine sewing, cardstock. So, when all the hustle and bustle is over and you find yourself with an overabundance of Christmas scrapping supplies, what do you do with them? Use them of course! 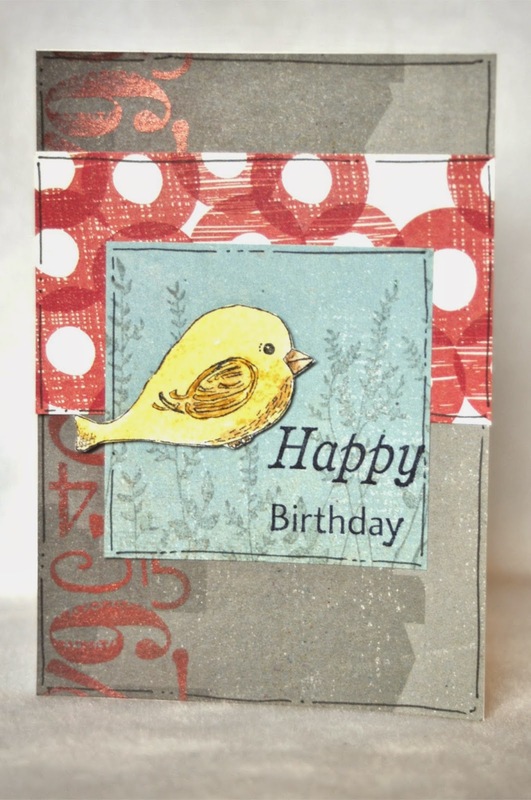 I started with a kraft background, put some mist on it and then added papers from DCWV's Jolly Whimsy stack. Yep, Christmas, but look how perfectly they fit into this love theme! For the diamond mat, all I did was cut along the design of the paper. Then I cut some of the smaller diamonds out and added them to my layout for embellishment. You can see one in the closeup above popped out of the mat using foam adhesive. I'm a washi addict and I love using it to frame my layouts. Gives it a great finished look, don't you think? Do you have extra letter stickers leftover? Yep, the entire title is from Echo Park's Christmas Reflections line. Last I added my journaling and my date with a date stamp. (love them!) 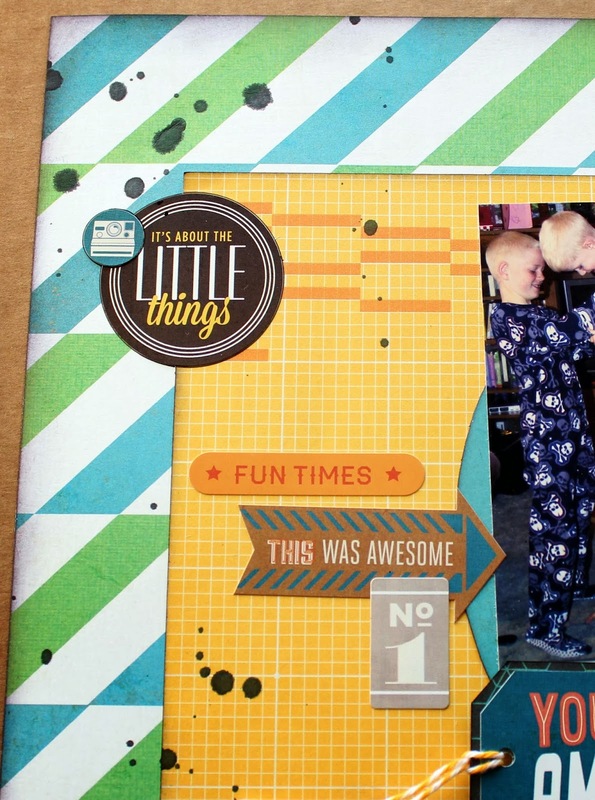 I used a sketch by Lanette Erickson from 3 Scrappy Boys for this layout.